Spring has officially started, but the cold is still hanging on. We have had a long, cold winter around here. We have also had a very dry winter unlike the East Coast. So any day now we would love some rain. We got .31 last night, which is much appreciated, but have only received a little over an inch since last fall when we installed our fancy electronic weather center. Of course like any farmers we have big projects right now that are easier to accomplish if it stays dry. We are plowing up the soil for three new plots (we call them gardens), which will be added to the planting rotations next year. We are adding a new 30 by 96 foot hoop house, always tricky to get up on our windy farm. We had to expand and reinforce our seven-an-a-half foot deer fence. There is much more on the list but I won't panic myself or my family by listing it all here. Indoors though, it is spring indeed. 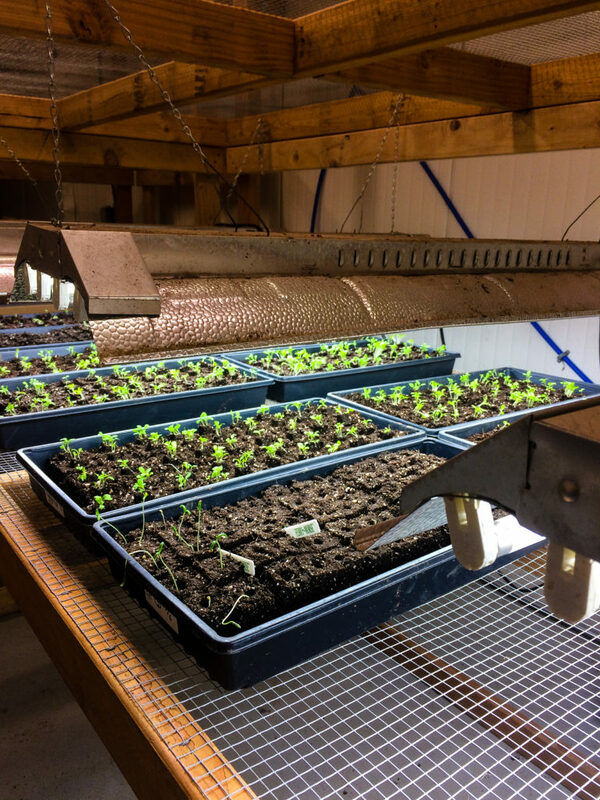 Our little heated grow center in my brother Tom's basement is hopping and popping! 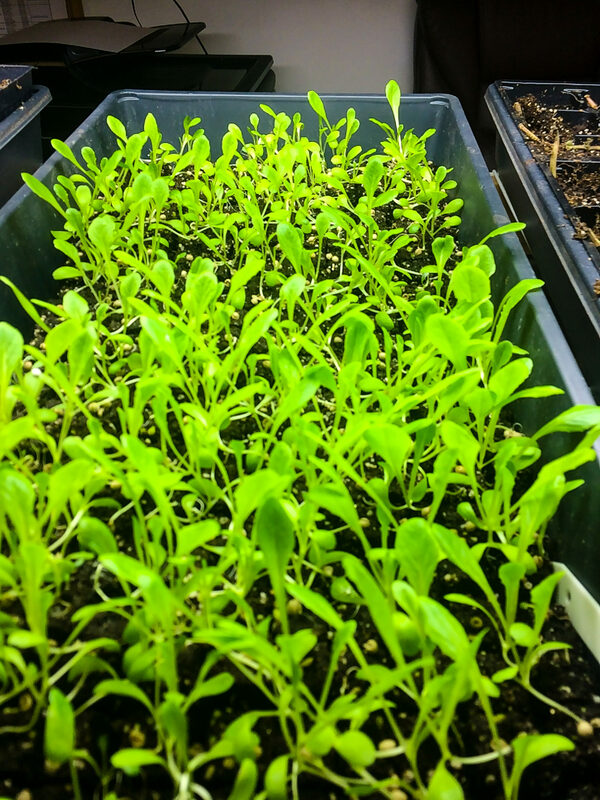 We are raising several thousand baby plants--tomatoes, herbs, spinach, arugula, lettuce, peppers, kohlrabi, and much more--oh my! So the winds will blow and blow, but we will work and work and soon enough the indoor garden will move outdoors. We will probably have to set our weather center (the best little piece of technology ever) to alert us as to when the winds drop down to close to zero. It will probably start beeping in the dead of night; I'll get up and get the phone tree going and try to convince aghast volunteers that they really must come NOW and help cover the new hoop house. LOL!!!!!!! Just wait, I have probably jinxed myself with that last thought.